The grounds of the Dahlgren Heritage Museum, 3540 James Madison Hwy. in King George, Va., will come alive on Saturday, Nov. 14, with the holiday sights and sounds of the 2nd annual outdoor German Christmas Market from 3-7 p.m. The festive event – free admission to the public – will include a craft fair, kids’ activities and silent auction. Live musical entertainment will be provided by the Acoustic Onion (formerly Glass Onion) band, DJ Cathy Lynn along with Sarah Snow. A festival of Christmas trees, Santa Land and Mary’s Cakery Cookie Corner will all provide a colorful holiday backdrop for the festival. Hot food and refreshments will be available for purchase from multiple concessions to include The Bavarian Chef restaurant, Normandie Cuisine and Hollabac BBQ. Mulled wine, beer and hot chocolate will also be available. And Santa himself will be on hand to greet the kids and take photos from 4 to 6 p.m. Ample free parking will be available at Barnesfield Park, 3360 Barnesfield Rd., adjacent to the museum property on Hwy. 301 in King George. Shuttle buses will transport handicapped guests to and from the event. All others can follow the Christmas trail to the event. All proceeds from the German Christmas Market will benefit the Dahlgren Heritage Foundation. 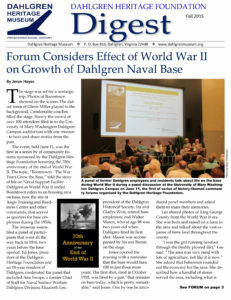 The foundation is chartered to establish and operate the Dahlgren Heritage Museum and to provide the long-term preservation efforts and educational activities associated with sharing the stories and interpreting the U.S. Navy’s physical, technical, intellectual and social contributions to King George County, the Commonwealth of Virginia, and the nation.